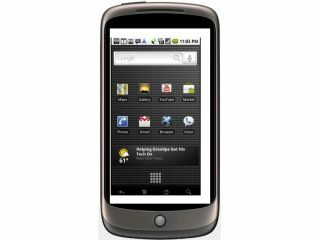 People with Google's Nexus One will soon be able to use Android 2.2, with Google confirming that an 'over-the-air' update will be available for the former this week. Android 2.2 – codenamed Froyo – includes Flash support and the ability to turn your phone into a Wi-Fi hotspot. "In order to access the update, you will receive a message on your phone's notification bar," said Google about the Nexus One. "Just download the update, wait for it to install, and you should be all set." "We hope you enjoy these new features."